HIGHLY DETAIL KIT. ENGRAVED PANEL LINES, RICH COCKPIT DETAIL. CONTAINS AIM-120AMRAAM AND AIM-9X SIDEWINDERS MISSILES, AN/ASQ-228 ATFLIR POD. 1. US Navy VFA-11 "RED RIPPERS" CAG Aircraft (AA200). 2. 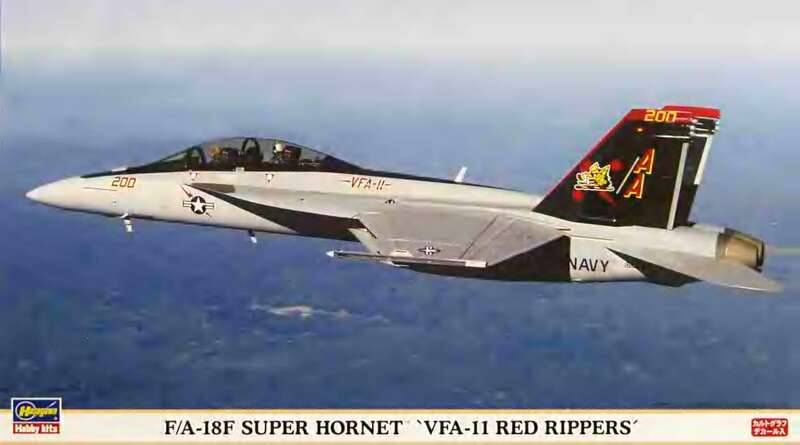 US Navy VFA-11 "RED RIPPERS" CO Aircraft (AA201).